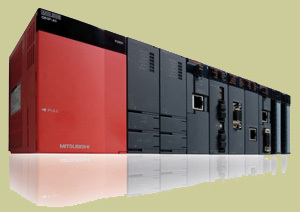 Superior Systems Designs, Manufactures and Installs Industrial Control Systems for automation. We Specialise In Programmable Logic Controllers (PLCs). Superior Systems based in Coventry, West Midlands are specialists in industrial control systems for automation (PLC based), Human Machine Interfaces (HMIs) and bespoke software generation. We pride ourselves on the ability to supply bespoke systems. Superior Systems has gained an excellent reputation for their control systems, being reliable and easy to use. We have many valued customers. If you require a control system we are confident we can supply you with the ideal solution. FAST, FLEXIBLE and EFFICIENT CONTROL SYSTEMS for AUTOMATION. Programmable logic controllers or PLC have been around forever (in technological terms). Their proven reliability in harsh environments together with their ability to handle multiple inputs and outputs has made them the cornerstone in the majority of modern day industrial control systems. PLC systems can be combined with most other technologies to provide a sophisticated control and monitoring solution. It is reassuring to know that the PLC is one less thing you'll have to worry about. The most common architecture we prefer is a PLC to do the real-time control and monitoring with a HMI terminal as the operator interface. A PLC is at the heart of a good automation system. We design and manufacture control systems (PLC based) for Industrial Automation. packaging equipment, special purpose machines and the process industry. Industrial control system design, manufacture and installation. PLC Control System integrators for Mitsubishi, Omron, Siemens etc. Human Machine Interfaces (HMIs) selection, programming and support. PLC control systems and control panel design. Control panel design & electrical drawings generated on Auto-CAD. 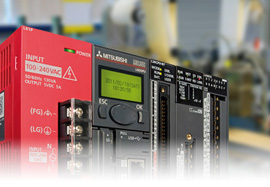 Industrial control systems utilising Mitsubishi PLC, Omron PLC etc. Programmable Logic Controllers (PLC) programming service. * Please Note; We do not supply PLCs or HMIs on their own. We can only supply them as part of a complete control system.